This is a great little thermometer from Maverick Direct. It’s connects to your smartphone or device by plugging into it using the jack that is included. 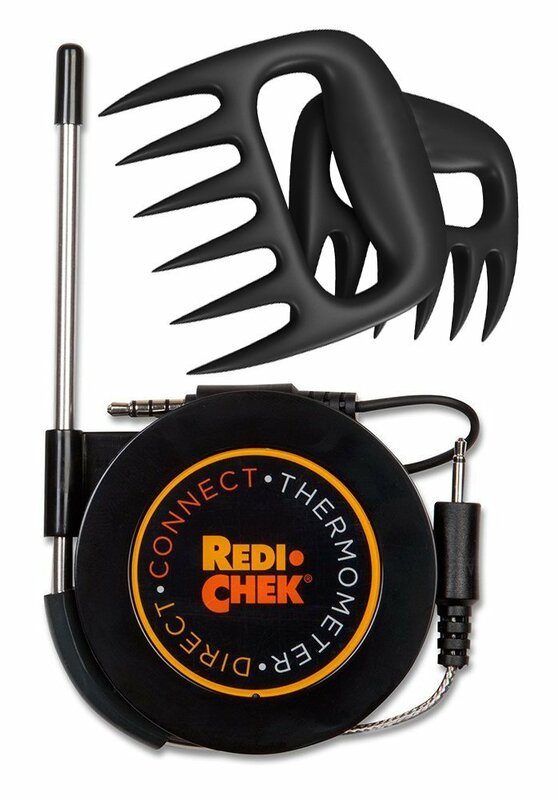 Then you can use the thermometer wire to insert into the food you want to check the temp on. This can be read by your smartphone using an app that you download for free that turns your phone into a meat thermometer. It’s really neat and has lots of different functions. This set also comes with a set of meat claws that can be use to shred the meat once it’s done cooking. They really convenient and makes shredding your meat easy and simple. Just grip them like handles and it turns your hands into shredding machines. All the items are durable and well-made.